Magic Moments #20 Double the Love! 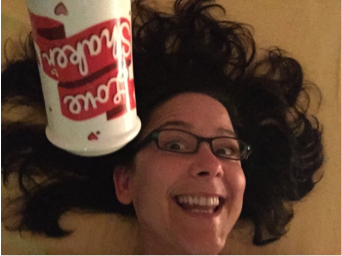 Love my “Love Shaker.” Works every time! https://loveshaker.com/wp-content/uploads/2015/11/Screen-Shot-2015-11-09-at-3.58.02-PM.png 422 612 Lovey https://loveshaker.com/wp-content/uploads/2015/11/loveshakerheader.png Lovey2015-11-09 20:18:392016-02-02 02:55:27Magic Moments #20 Double the Love! Magic Moments #19 Baby with Love! 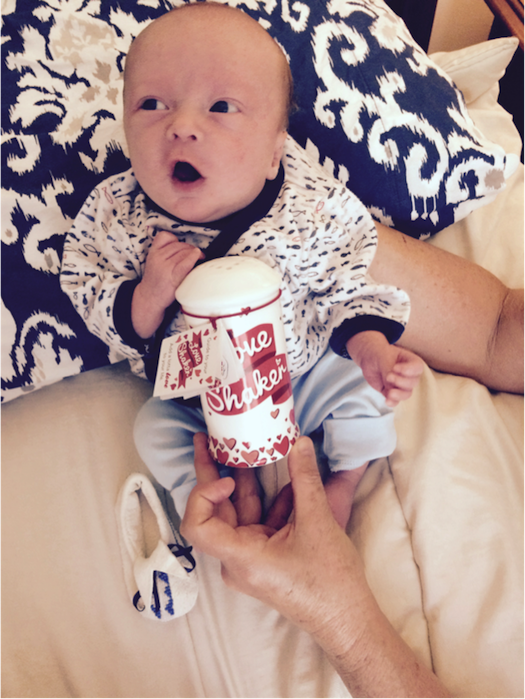 I received the Love Shaker as a baby shower gift. Right now I use the Love Shaker to powder my baby’s bottom. Not only does it make my baby smile with its light rattling sound, but it makes me smile to know that at every diaper change I am showering my son with love. Once Jack gets older, I can’t wait to use it as a cute way to cure his “boo-boos” or for cooking when we are able to teach him to make magic in the kitchen. You wouldn’t believe all the comments I get from friends and family when they see it in his nursery. It’s such a unique conversation piece and I’m definitely getting the Love Shaker for my mommy friends in the future. I’d recommend the Love Shaker to any parent who wants a cute and playful way to shower their kids with love. https://loveshaker.com/wp-content/uploads/2015/11/Screen-Shot-2015-11-09-at-4.01.03-PM.png 363 524 Lovey https://loveshaker.com/wp-content/uploads/2015/11/loveshakerheader.png Lovey2015-11-09 20:13:582016-01-31 23:48:28Magic Moments #19 Baby with Love! Magic Moments #18 Delightful Love! Words can not describe the splendor of a healing massage session with Edie Stuber, but I will do the best I can anyway: I have Asperger’s Syndrome, which I note first because I don’t love “touchy feely” and I am not big on a bunch of outward expression of affection. That I have Asperger’s is critical to this testimonial because I am also highly intuitive, and I have a keen radar for purity, goodness and delight. When I walked in to meet Edie for the first time, instead of having my arms crossed and my heart shut off, I was immediately wide open to the love and healing she had to offer, I even accepted a big loving hug. I have spent most of my life with my arms crossed and heart shut off (even though outwardly, I have always appeared as friendly as a puppy dog), so this is monumental as well. I have now had two massage/healing sessions with Edie and I fully intend to be a “regular.” My life has changed in ways that I never anticipated. First I bought a “love shaker” (charmed by Edie’s internet videos, which, much to my surprise, I use often and share with others). Then, I bought a love shaker for my mother, who reported to me this evening that she has been shaking love all over her house this past week, and she and my dad (her husband of 51 years) have never gotten along better. In addition to this peculiarly love-kissed behavior, I find myself drawing hearts all over my chalkboard in my office. “Who is this girl/woman Lindsay?” I have to ask myself. I don’t know for sure, as I know she is still under construction, but I have to say, I like her, and Edie was a big huge part of what opened that door for me. https://loveshaker.com/wp-content/uploads/2015/11/magicmoments_18.png 256 342 Lovey https://loveshaker.com/wp-content/uploads/2015/11/loveshakerheader.png Lovey2015-11-09 20:10:442016-01-31 23:52:33Magic Moments #18 Delightful Love! Magic Moments #17 How ’bout lovin’ on them tomatoes? I always use my love shaker to shake love on all the food before I eat it. I can actually feel the energy increase with the vibration of love after using my shaker. The Love Shaker provides the secret ingredient of love in all the food I prepare. Here I am shaking love on fresh organic produce that I just got from our local farmers market. How’bout lovin’ on them tomatoes? https://loveshaker.com/wp-content/uploads/2015/11/magicmoments_17.png 464 620 Lovey https://loveshaker.com/wp-content/uploads/2015/11/loveshakerheader.png Lovey2015-11-09 20:06:492016-01-31 23:56:48Magic Moments #17 How 'bout lovin' on them tomatoes? Magic Moments #16 Grandma shaking Love! 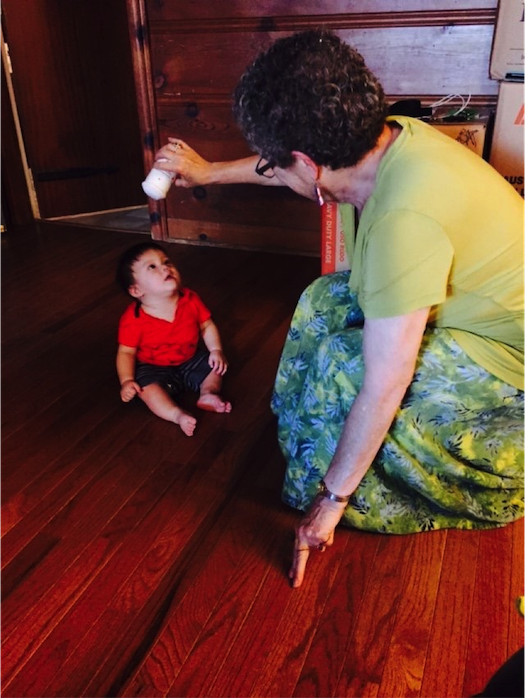 Grandma shaking love on baby Connor who seems mesmerized by the Love Shaker. Love that boy! https://loveshaker.com/wp-content/uploads/2015/11/magicmoments_16.png 698 525 Lovey https://loveshaker.com/wp-content/uploads/2015/11/loveshakerheader.png Lovey2015-11-09 20:04:202016-01-31 23:59:26Magic Moments #16 Grandma shaking Love! Magic Moments #15 Pregnant with Love! 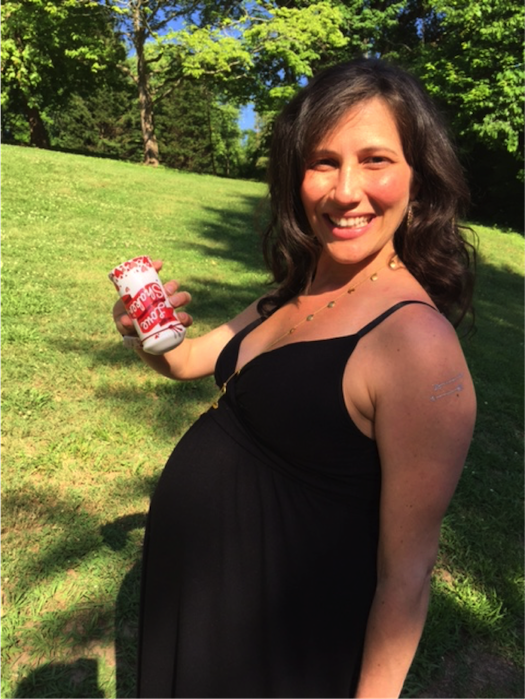 The Love Shaker is the perfect maternity gift. Here’s Mom shaking a little extra love on a miracle! https://loveshaker.com/wp-content/uploads/2015/11/magicmoments_15.png 699 525 Lovey https://loveshaker.com/wp-content/uploads/2015/11/loveshakerheader.png Lovey2015-11-09 20:01:432016-02-01 00:06:36Magic Moments #15 Pregnant with Love! Magic Moments #14 Adding Love for sweet dreams at nap time! 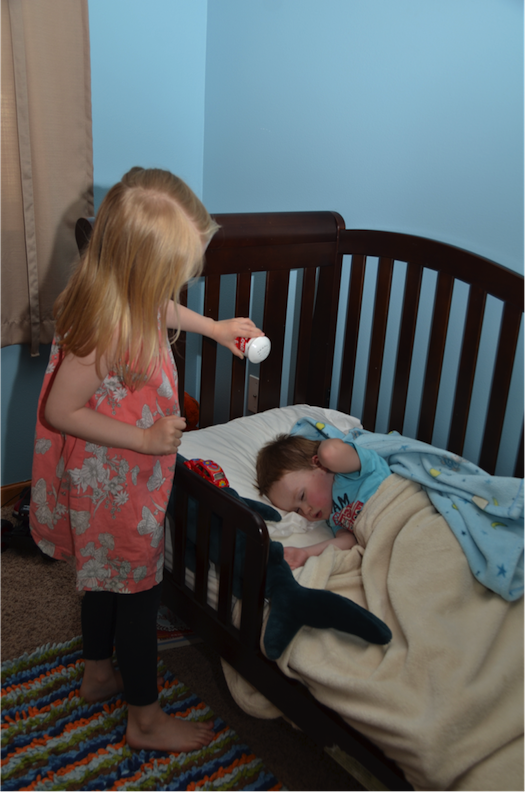 It was big sister’s idea to sprinkle love on her sleeping little brother! She’s adding alotta love for sweet dreams. https://loveshaker.com/wp-content/uploads/2015/11/magicmoments_14.png 792 525 Lovey https://loveshaker.com/wp-content/uploads/2015/11/loveshakerheader.png Lovey2015-11-09 19:59:392017-06-21 21:11:07Magic Moments #14 Adding Love for sweet dreams at nap time! Magic Moments #13 Puppy Love! 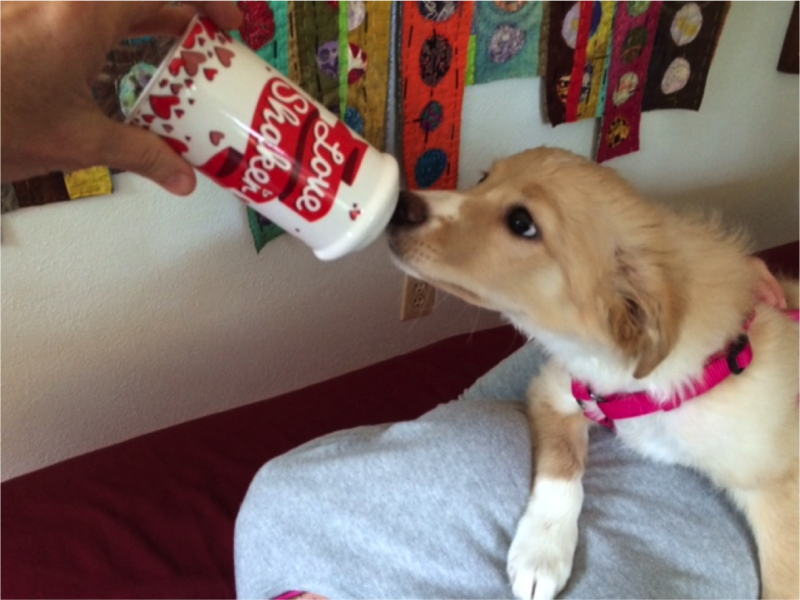 Miss Penny the puppy gives the love shaker a little sniff & kiss. What’s sweeter than puppy love? https://loveshaker.com/wp-content/uploads/2015/11/magicmoments_13.png 793 1057 Lovey https://loveshaker.com/wp-content/uploads/2015/11/loveshakerheader.png Lovey2015-11-09 19:56:122016-02-01 00:18:26Magic Moments #13 Puppy Love! 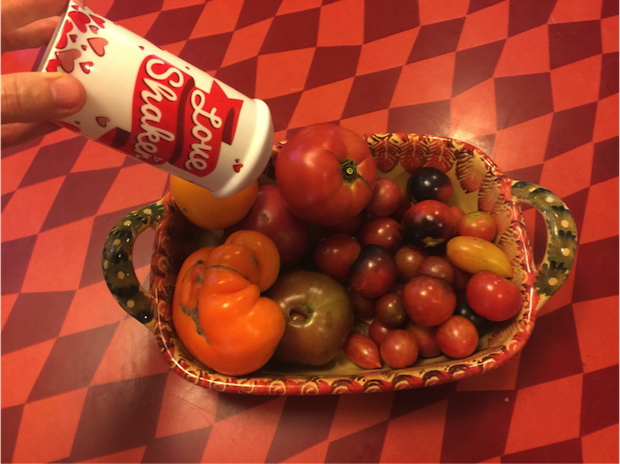 The Love Shaker is a perfect addition to all of your condiments….Pass the love please. I was given the Love Shaker as a gift during a crazy move to a new home, which included the consolidation of two households to one, the launching of two teenagers to their new lives as college students and easing two elderly, traumatized pets into this new, unfamiliar place. As instructed, I shook love in every room and on both pets. It still makes me smile to think about how joyful this was during such a stressful time. It is especially fun to remember the expression on the faces of my cat and dog. The Love Shaker has its place in the spice cupboard ready to be used when needed. I Love my Love Shaker! 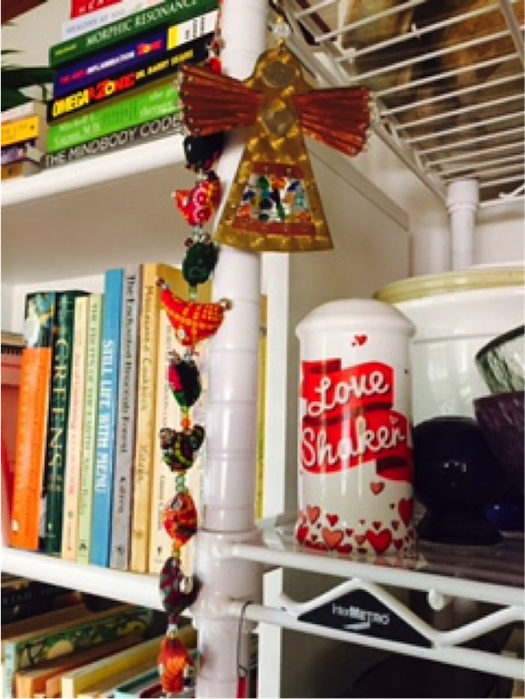 I was given one of the very first Love Shakers that Edie made years ago and I kept that on my window sill for years. 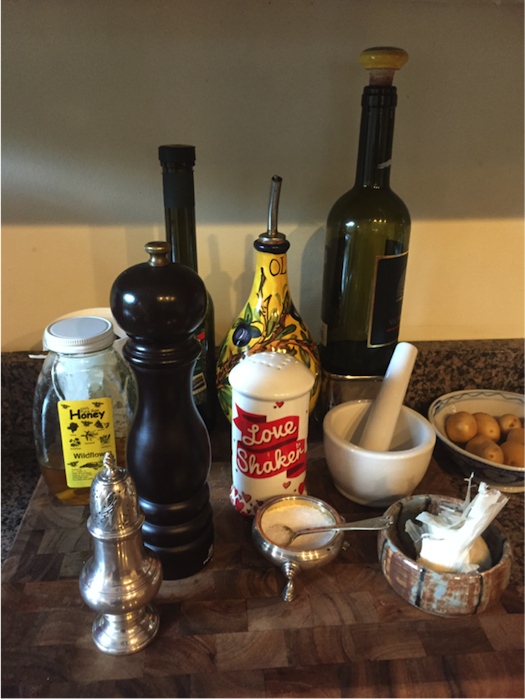 I have my new Love Shaker on my shelf in the dining area and I smile every time I see it. For my moving gathering at my home with my co-workers, I was hesitant to bring it out not knowing how the diverse group would respond to it. Well…they loved it and passed it joyously around the circle. It infused laughter and love to everyone in the group, they had so much fun with it. So much so that I bought all 15 of them shakers as a parting gift from me so they can continue to infuse their lives with the energy of the Love Shaker! Have your own magic moment to share? Stay up to date with magic moments!